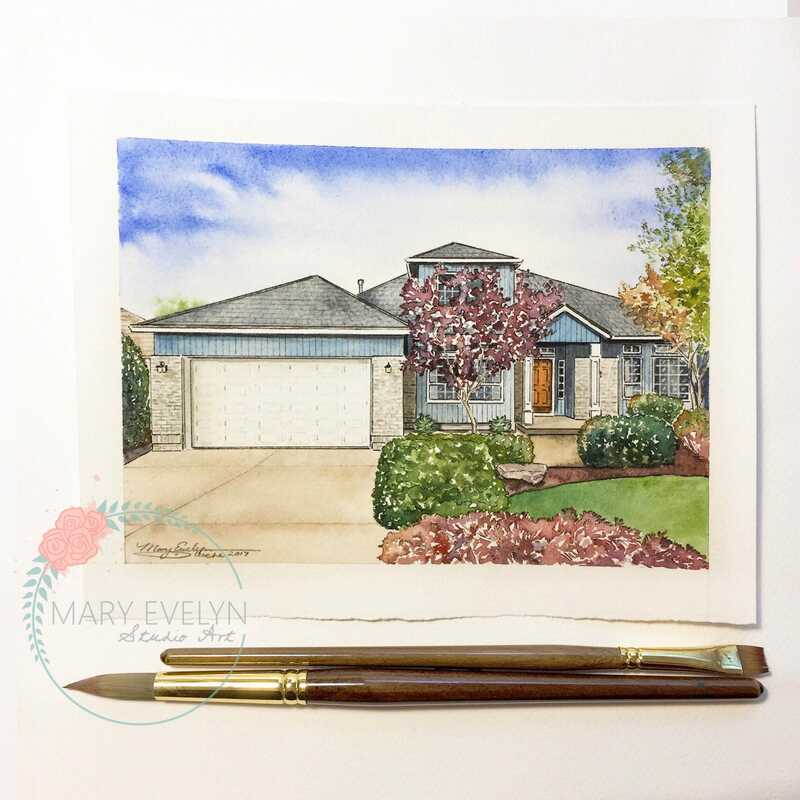 Commission an original 6”x8” custom watercolor painting of your home. 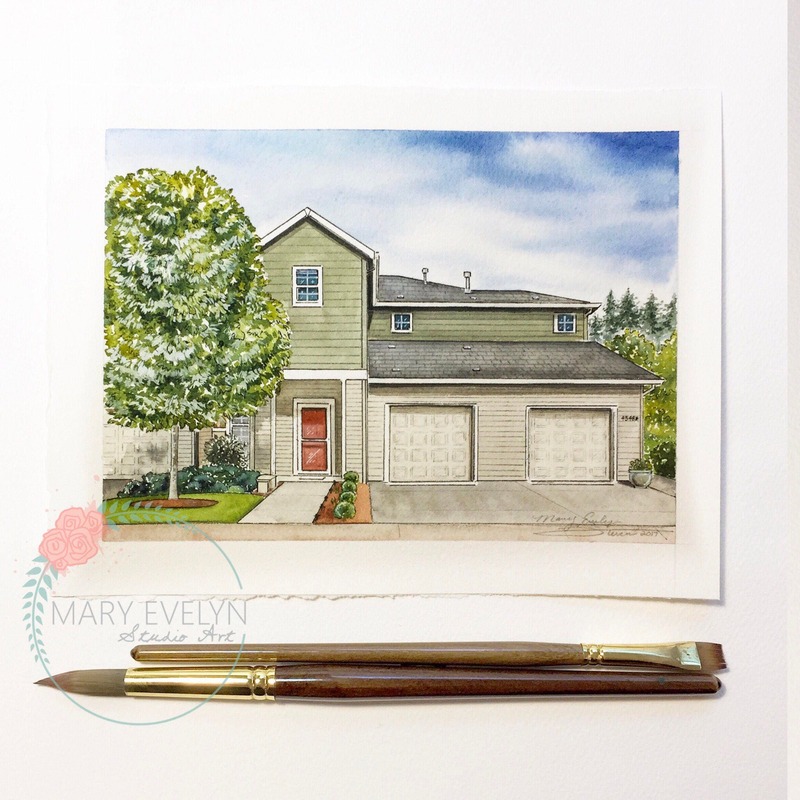 My house renderings capture the distinctive traits of homes and their surroundings. 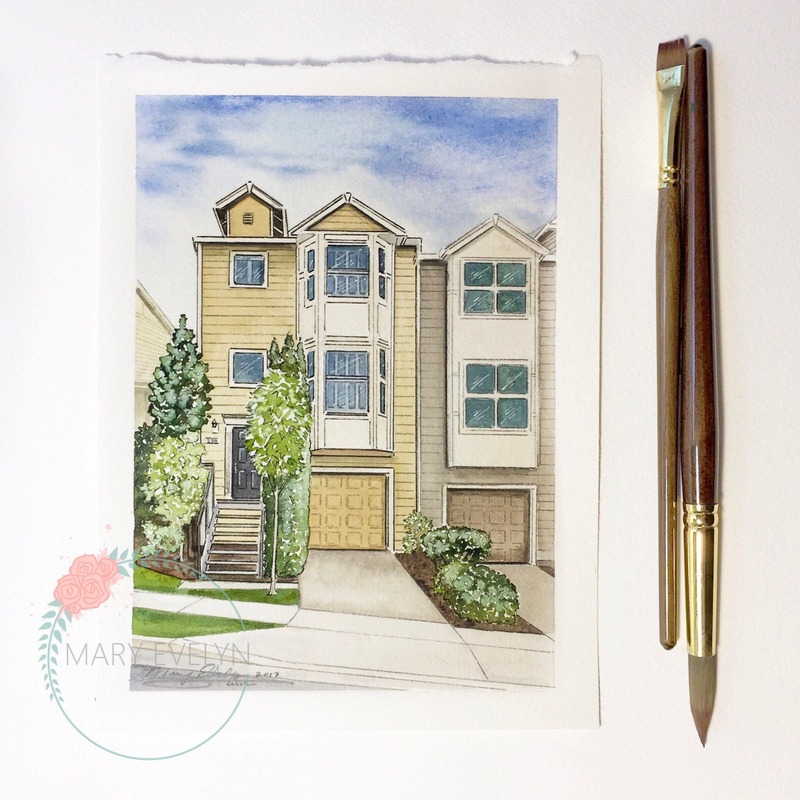 The examples listed above are some of my previous commissioned watercolor paintings. Each of the examples were painted on 140lb cold press watercolor paper. 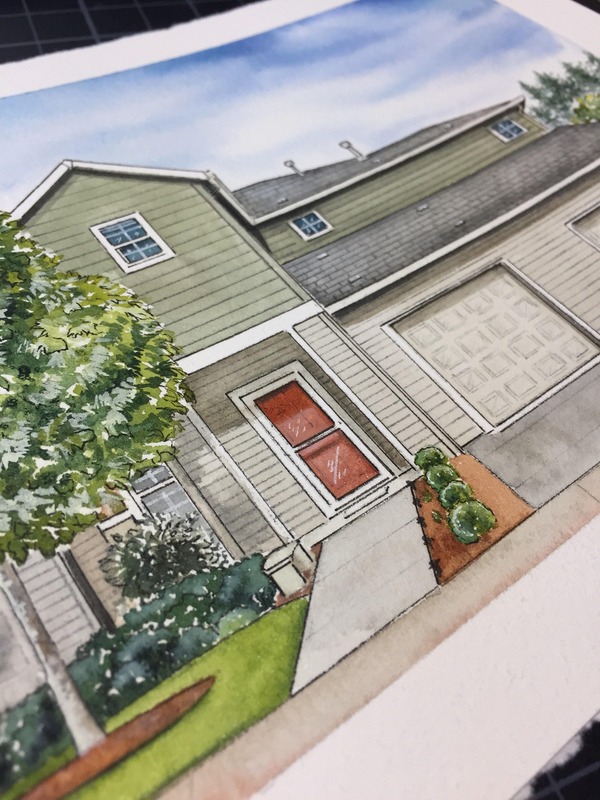 Before placing your order, please e-mail a high-quality picture of the home that you would like to have painted, and I will contact you. Please keep in mind, if something is not shown in the photo provided, it will not be represented in the completed artwork. 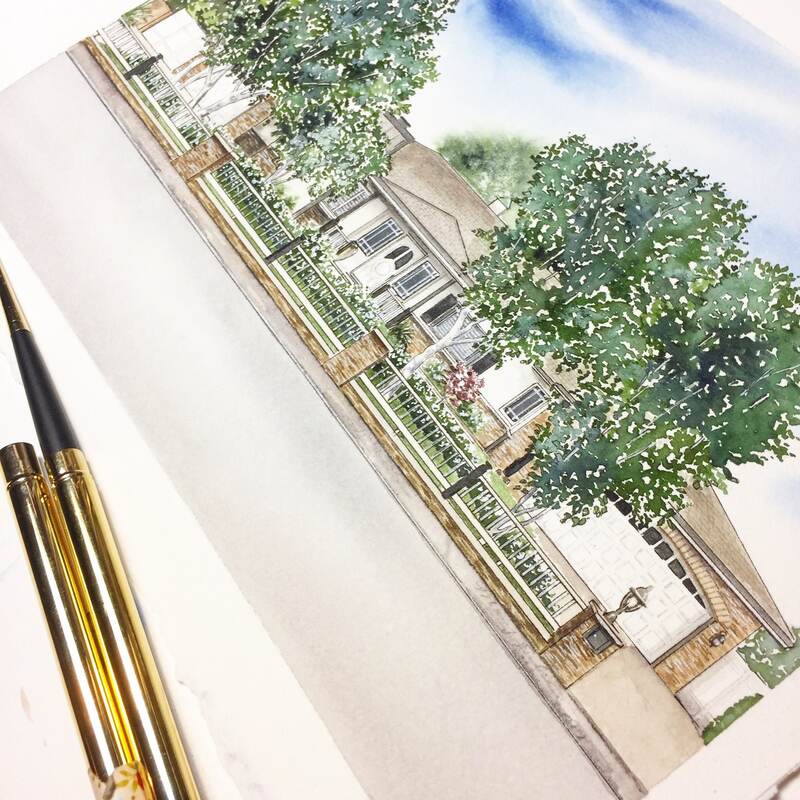 Since I’m booked for Christmas, please allow six to eight weeks for completion of your house rendering, from the date the painting is officially commissioned. We ship watercolor paintings wrapped in tissue, cardboard and a clear plastic sleeve to protect against potential outside elements. Please note that your painting will arrive unmatted and unframed. 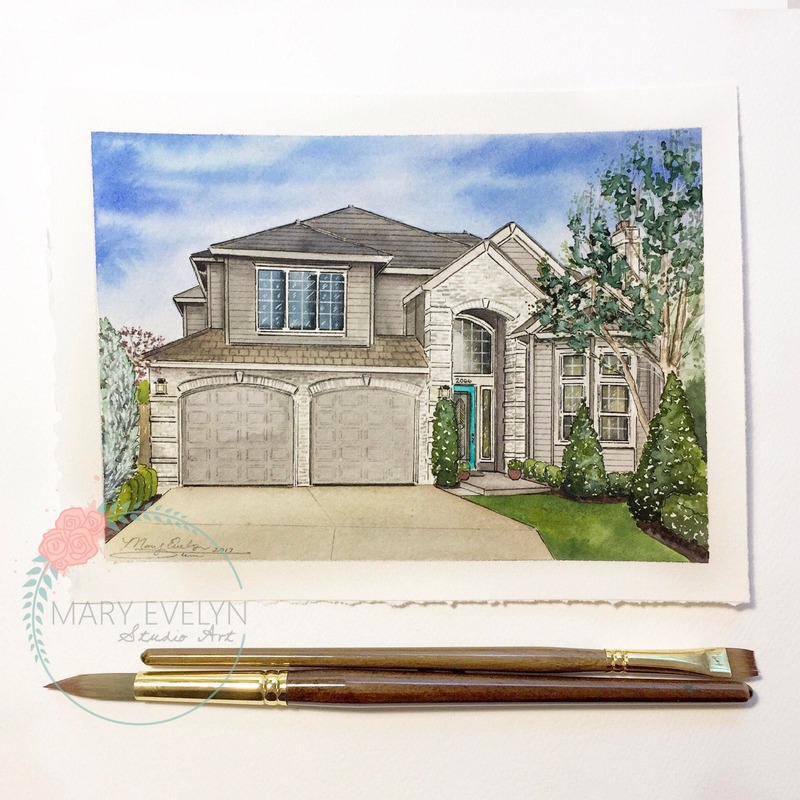 We will include helpful framing instructions and suggestions for displaying your custom painting. The custom house renderings may not be copied, reproduced or resold without the artist’s permission. By purchasing this item, you agree to my shop policies.